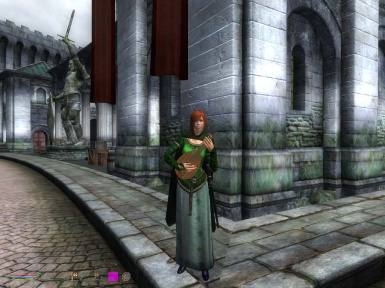 Adds new animations and reactions to NPC\'s and Player Character. This replaces personality idles 3. Also adds the option of instant actions and ability to change default idle at any time. Lute playing added and more. To Clarify this is not a pose mod (although I suppose you could use it for that) This changes npc and player reaction animations. Including player animated reactions to cold or weather in snowing areas and being wounded enough (arms hunched to keep warm in snowing areas ect). As well as npc physical reactions to fame/infamy faction ect. 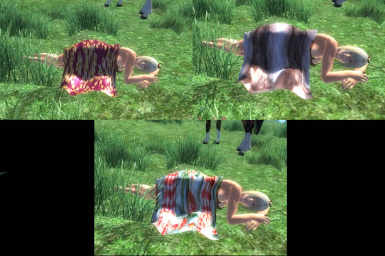 It also allows you to have better control over your character allowing them to sleep, eat sit on ground play a lute ect. Although there are some menus you can choose to use, This mod more integrates this into game play rather than strictly a menu driven pose type mod. You can also change your default idle at any time and use almost all features on companions and more. download main file then simply choose only ONE fix file. There is an explanation of what each fix file does. If in doubt download main file then p4finalfixes4. Install the main file then P4finalfixes4. -replaces the old wave animation with one that does not loop. -adds an icon for the lute. -No Gaurds at all will dance when playing the lute at expert level. 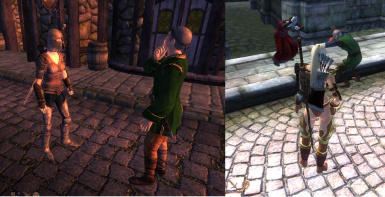 -Seperate Dancing animation for male npc's when playing lute at expert level. fixes all of the above but does not contain the new song for the lute for those that want all the fixes but not the added song. 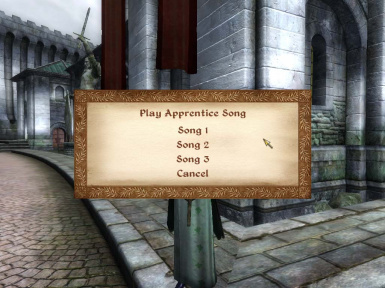 (To stop playing the lute click on the song choice menu and click cancel). -increased chance to 50% to pat horse when on horse. -Npc's will automatically dance when playing lute at at expert level. -basic actions and menu activators automatically put in inventory starting game. *note this is for those that may not wish to wait the standard 15 seconds or so for an animation to kick in. Or want greater control of what their character does. Even though you can I would not recommend using this to inititate a idle constantly (the standard pose your character always assumes) as in using this system you can't get out of the idle by drawing a weapon you have to get out using the menu. Although if you want to for whatever reason you can it will not cause any problems. of use). You'll get a menu saying "Initiate immediate action? yes or no". choose yes and your character immediately goes into that action. 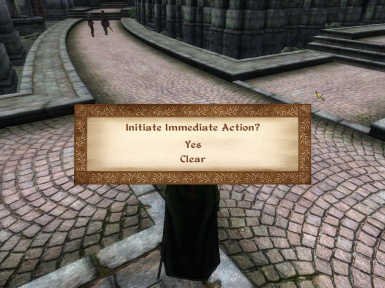 To choose another action just highlight a different action such as (A)sit female and again click on the "Do Action" in inventory (misc item section) choose "yes"and your player will immediately go into the new pose or animation. To get out of the pose or animation choose "Do Action" again and choose "No"..wait a second and this will free up or set your player to their default stance. (any settings you have for a custom idle will still be intact). * Hotkey If you assign the hotkey to "Do action" it is much more convenient you just open your inventory highlight an action, then hit your hot key choose yes and your animation starts. an action as you did in version 3 by just choosing it in the inventory screen example "(A)eat" and wait motionless for up to 15 seconds as before. 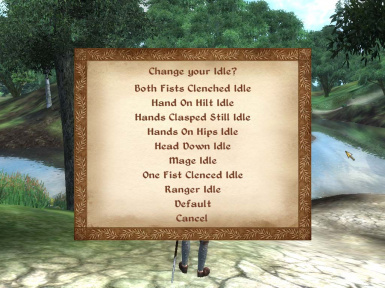 click on it and choose your idle in the menu, you can change your idle as many times as you want. Read the readme files included. Fixed a small issue with the wounded idle not playing for player, between levels 11 and 19. 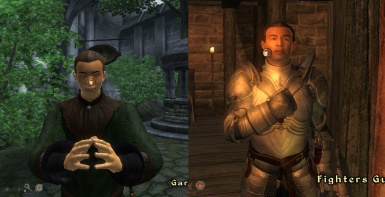 I no longer support "Actors in charge" or any mod that changes animations as these will conflict. However I have backdated my esp's so that most mods that force animations should still work with this mod. As a general rule if you want to use both this mod should have an older date. You may encounter the Oblivion bug that causes the characters mouth to freeze open, this is a game bug fortunately it is rare if this occurs just save and exit the game and restart.